The Civil War was, as President Lincoln explained in his address to Congress on July 4th, 1861, “essentially a People’s contest.” A Pennsylvania newspaper put it this way:”We are all in this war; those who fight and those who stay at home.” Those who stayed at home in the border region of mid-Maryland became connected to the war in profound ways. 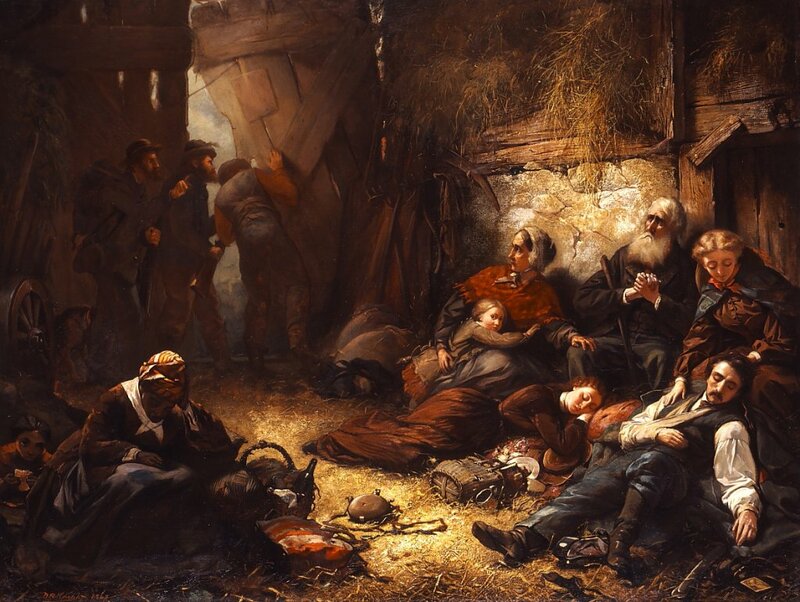 Their communities became battlegrounds as armies marched, camped, and fought in their streets and in their fields. They had to cope with the many disruptions this caused: the presence of soldiers, the destruction of property, the regulations imposed by military officials, the sick and wounded men who filled the makeshift hospitals, and the drafting of land, homes, and public buildings into military service. They also had to take sides. As declarations of war were made, citizens with opposing points of view suddenly became enemies. Many would spend four years trying to preserve the Union; for others, it was the Confederacy that upheld their concept of what America meant, and they worked to support it. Maryland would remain in the Union, but deep and bitter divisions existed within the communities and the families of this border region.